Join Dr. Ramzi Salti, Lecturer at Stanford University, for another musical journey through the MENA region. This episode aired on Feb 13, 2014 on KZSU 90.1 FM (San Francisco bay area) and features amazing indie/alternative Arabic music from the Arab world plus a promotional spot for Mike Massy's upcoming concert at Stanford. 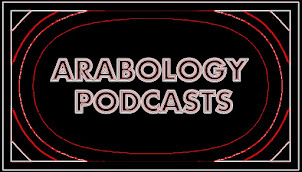 Playlist for Arabology Thurs 13 February 2014 4pm - 6pm DJ: Ramzi S.